Saul Hudson, better known by his stage name Slash, is best known as the lead guitarist of the American hard rock band Guns N' Roses, with whom he achieved worldwide success in the late 1980s and early 1990s. 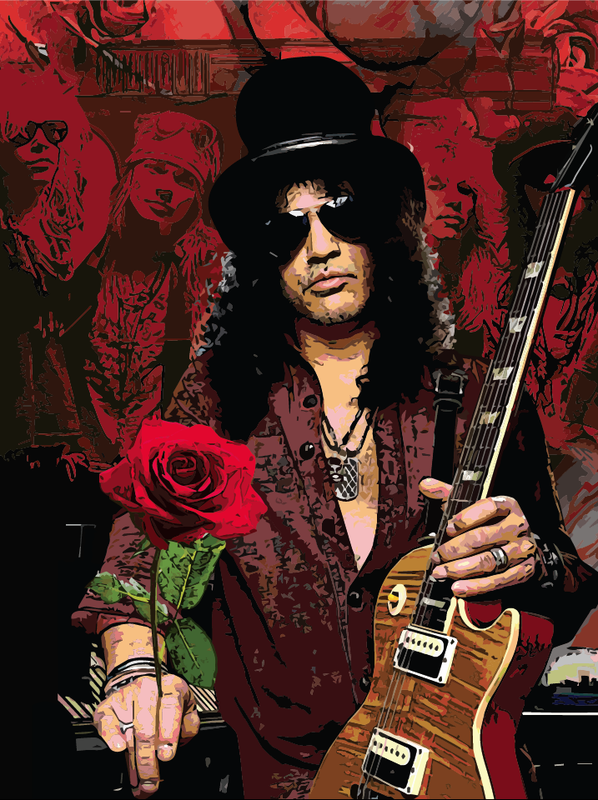 During his later years with Guns N’ Roses, Slash formed the side project Slash's Snakepit. 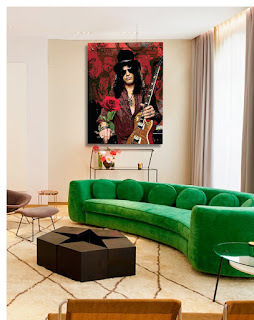 After leaving Guns N’ Roses in 1996, he co-founded the supergroup Velvet Revolver, which re-established him as a mainstream performer in the mid to late 2000s. Slash has since released three solo albums: Slash (2010), featuring an array of famous guest musicians, and Apocalyptic Love (2012) and World on Fire (2014), recorded with his band The Conspirators. He returned to Guns N' Roses in 2016, 20 years after he had left. 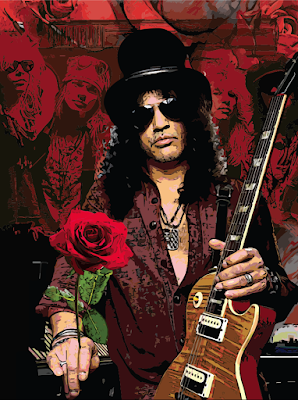 Slash has received critical acclaim as a guitarist. Time named him runner-up on their list of The 10 Best Electric Guitar Players in 2009, while Rolling Stone placed him at No. 65 on their list of The 100 Greatest Guitarists of All Time" in 2011. Guitar World ranked his solo in November Rain No. 6 on their list of The 100 Greatest Guitar Solos in 2008, and Total Guitar placed his riff in Sweet Child o' Mine at No. 1 on their list of The 100 Greatest Riffs in 2004. In 2007, Slash was honored with a star on the Rock Walk of Fame; his name was placed alongside Jimmy Page, Eddie Van Halen and Jimi Hendrix. In 2012, he was inducted into the Rock and Roll Hall of Fame as a member of Guns N’ Roses’ classic line-up.